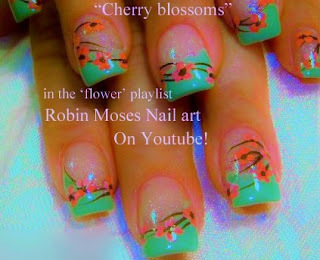 Nail Art by Robin Moses: Cherry Blossom Nail Art 2016 Full Length Design - Flower Nails Tutorial "cherry blossom nails" "cherry blossom design" "flower nails" "easy flower nails"
Cherry Blossom Nail Art 2016 Full Length Design - Flower Nails Tutorial "cherry blossom nails" "cherry blossom design" "flower nails" "easy flower nails"
Here is my New and improved cherry blossom design for 2016. 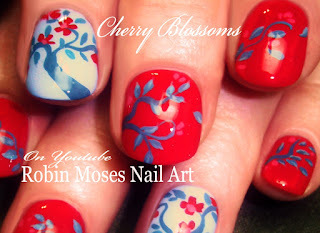 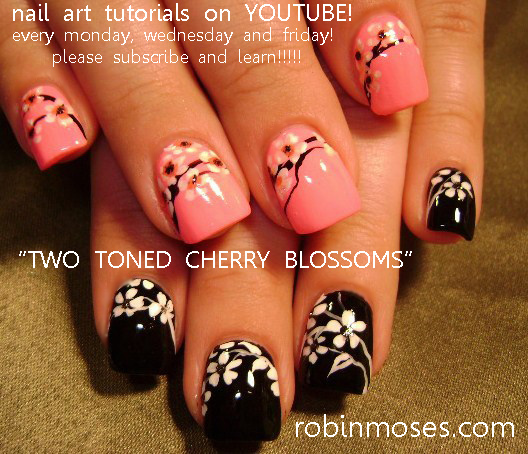 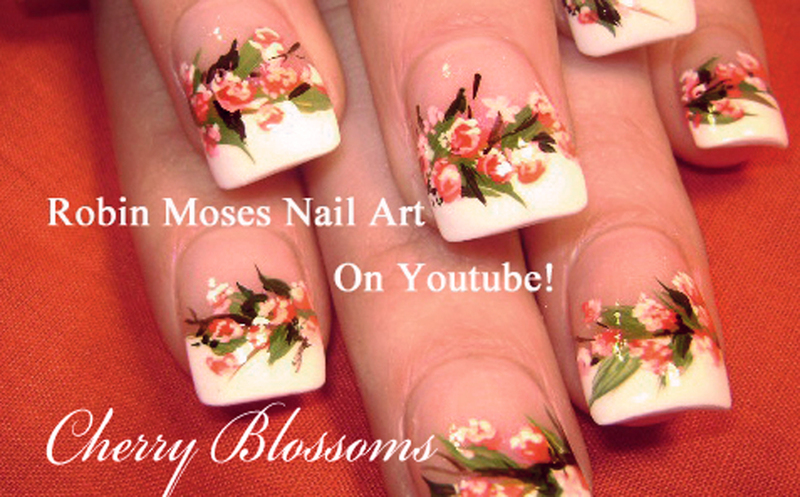 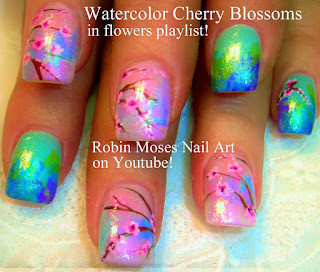 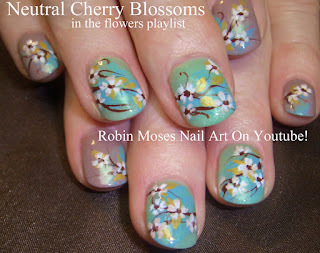 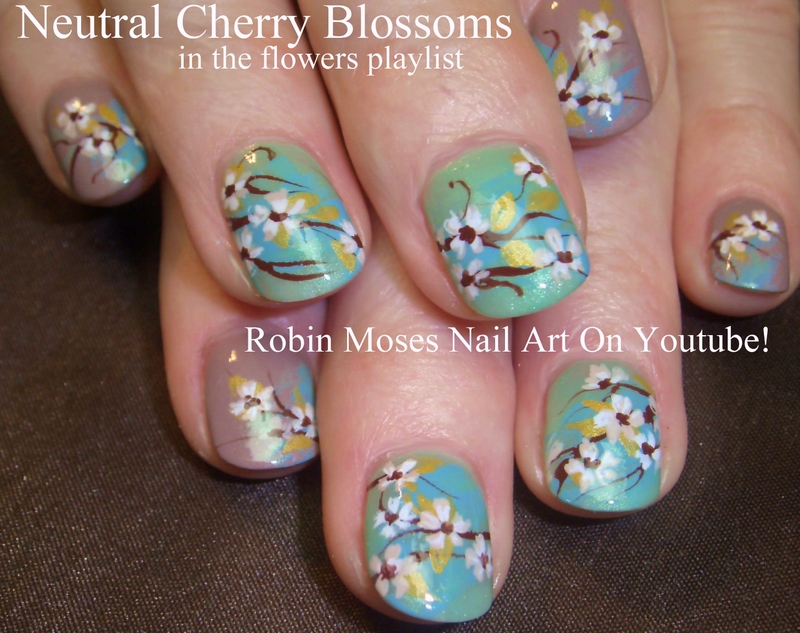 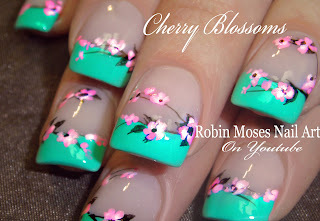 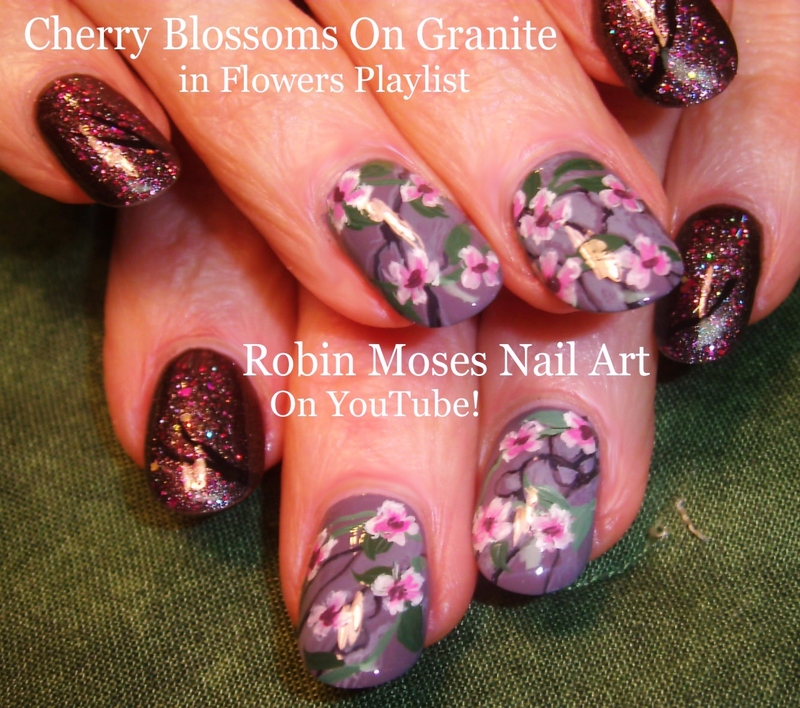 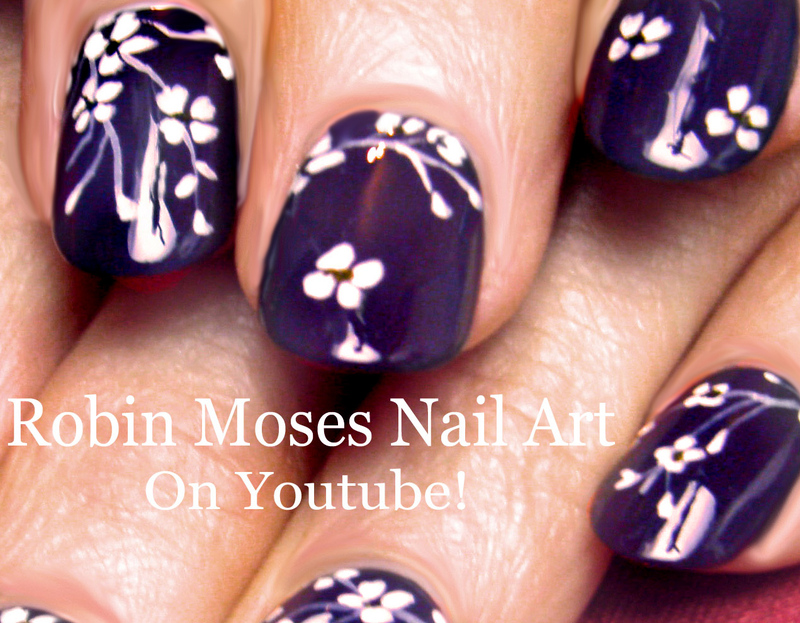 The first cherry blossom nail art design I did was in 2011 for youtube but have been doing them for many many years. The first one was just terrible (seen below with tutorial) and I feel that I still dont know what I am doing on Youtube, but at least I know my pics are getting a little bit better? 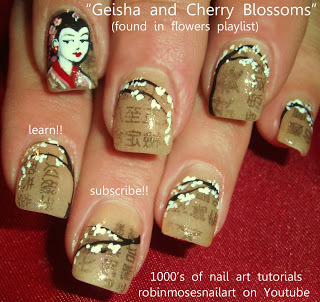 I donno. 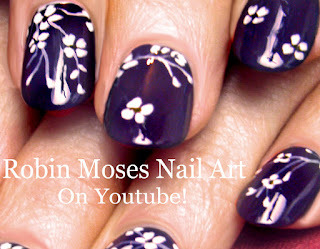 I might laugh at all of this in 5 more years! The secret to it all is to just have fun painting! 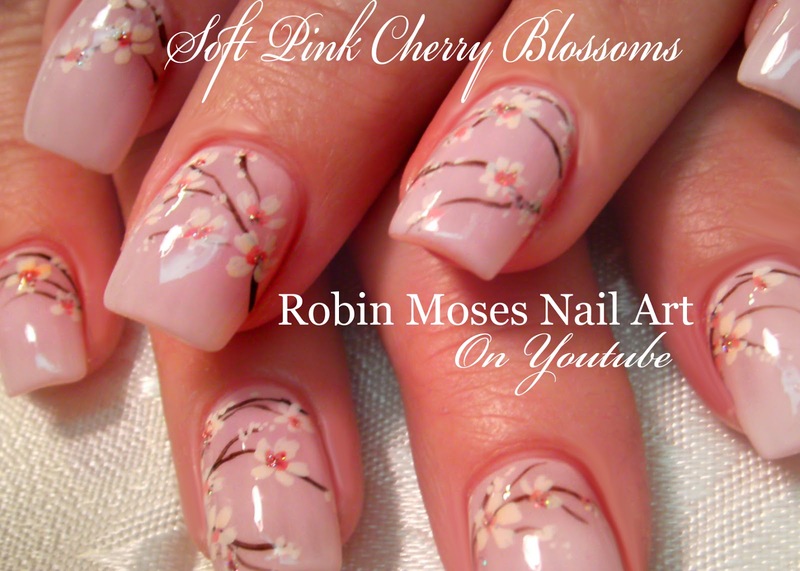 Here are tons of Cherry blossom nail designs and ideas to get you started, keep you going or inspire you to start!